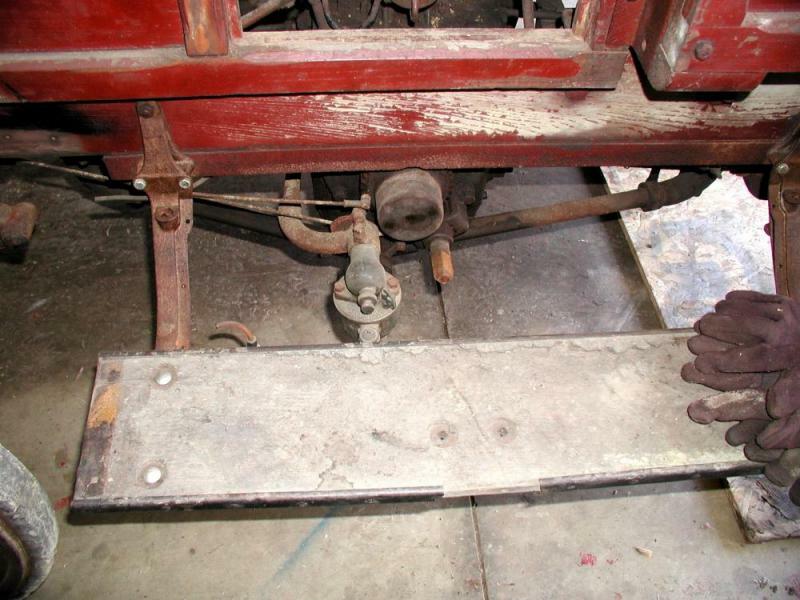 I am assisting a friend with a restoration on what is believed to be a 1908 International Auto Buggy or Wagon. This vehicle does have the short hood in front. We are looking for a some pictures of various parts. 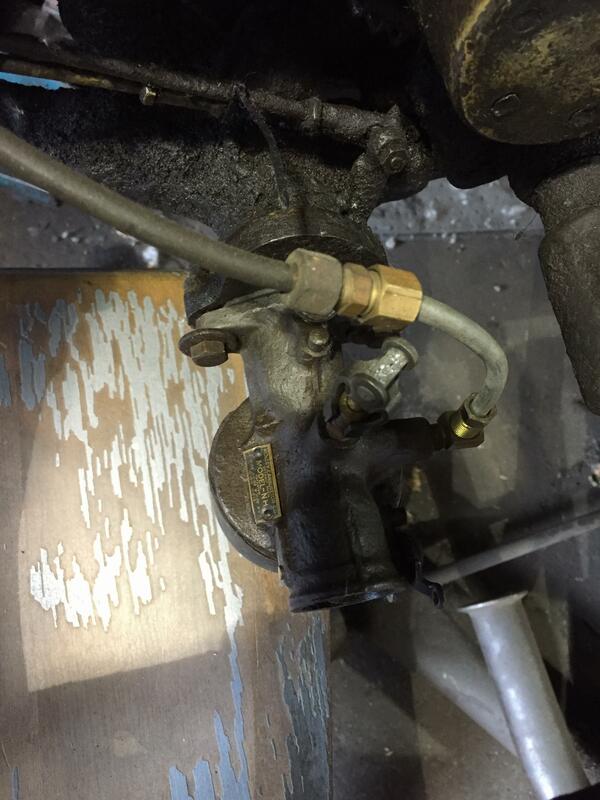 There are two linkages on the carburetor, but only one is connected and we believe we are missing some of the linkage. Also, on the right side of the vehicle under the running board was a tank of some sort, brackets are there, but no tank. Lastly, the headlights are there, but the oil buggy lights mounted to the firewall are missing. We have the brackets, but the lamps are gone. Can anyone tell me who made these lamps and what model? Were they made by International or someone like Dietz? Any help would be appreciated. Thanks. I own a 1913 auto wagon and have some IH literature. I believe the 1907,8,9 had a Patten leather buggy front. The short hood was 1910 and 11. The 1912-15 had a bigger hood and radiator (fake on air cooled.) I have serial number lists if the plate is still on the car. The auto buggy body had a “u” shape or dipped between the seats. The auto wagon was straight back from the front seat . There is a good instruction and parts book available from Binder books. It shows the 1912 but may be of help. The 2 rods on the carb connect together with a clamp. They join together towards the front of the car. . Im glad my two rods had not been disturbed so I didn’t have to figure that one out. I am not aware of any tank under the running board. The brackets you mention are most likely for a Prestolite tank, which would supply acetylene gas to the headlight burners. They show up on EBay and elsewhere from time to time. The side lights would be kerosine fueled, numerous makes would work, I don't specifically know what IHC used but don't believe they made any script lights themselves. IHC Highwheelers used Indiana #2 side lights with IHC script on top. Other lights will fit on the brackets. The IHC script lights are hard to fine. Indiana #2 side lights without the IHC script are easier to find. I probably have 20 or so of them. I have been picking them up for years since I have 7 IHC Highwheelers. The brackets are for a prestolite tank to run the head lights. The correct head lights are also Indiana #2 with IHC script on top. These are even harder to find then the side lights. We have found a Prestolite tank locally. So making progress. We are trying to determine if we have the right carb. What is on it is a Holly NH. Not sure if this is original. Can any one tell me? Also, what kind of pressure regulator was on the Prestolite tank? Thanks. The Holley model NH was introduced in 1921, and used on the Ford model T.
Again, as far as I am aware, the 2 cylinder I.H.C. used Schebler model D carburetors up through the 1915 model year. I know this carb was used, but other carbs MAY have been used. Many early vehicles had more than one carb supplier, and original sources are quite scarce. Thanks for the info. 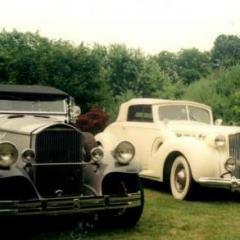 I have joined the pre-1940 group on Facebook. Seems like the Holley NH was a replacement for this motor.